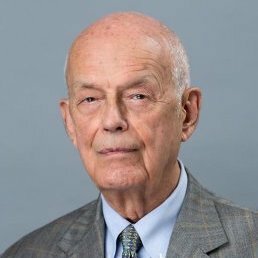 The well-worn path of a retiring four-star Admiral, something I know a bit about, typically involves a lot of time on the speaker circuit, positions on corporate boards, university lectures and television appearances. Bill McRaven, a man I have known and admired for many years, chose a much different path. Few appreciate the scale of the UT System and its 14 institutions. If the System were a business, it would rank in the top half of the Fortune 500. It engages in everything from architecture to astrophysics, cancer research to creative arts, and is at the forefront of every societal and cultural issue you can imagine. As its chief executive, the chancellor must listen to, understand, and balance the often-competing interests and concerns of many varied constituencies — students, faculty, administrators, donors, alumni, legislators, the general public and regents. 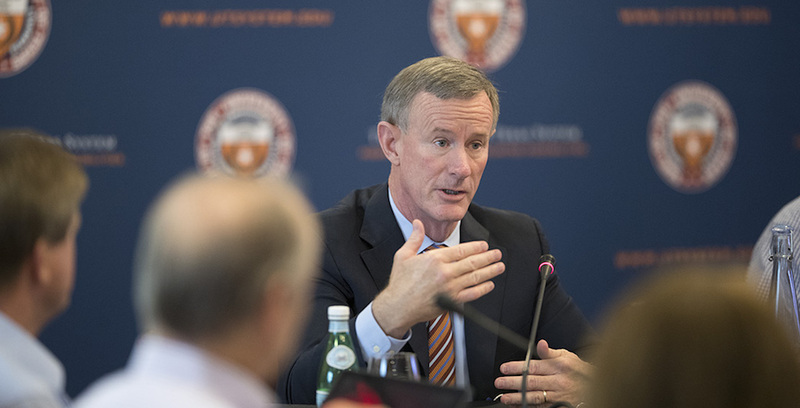 The energy, intellect and character that propelled McRaven to astonishing heights as a military leader have translated brilliantly to the job of running the UT System. When he became chancellor in 2015, there was tremendous tension between the UT System, the board of regents and UT Austin. In short order, he calmed the waters. On McRaven’s watch, the system has hired six exceptional new presidents. Whether they’ve been on the job for days or decades, McRaven has given each the support and room they need to lead their institutions, while encouraging them to share perspectives and work together to help meet the big challenges facing Texas and the world. McRaven challenged presidents to overturn orthodoxies, take risks and dramatically improve graduation rates. These efforts are gaining traction, as UT presidents are now laser-focused on sharing best practices and giving every student the resources needed to graduate in a timely manner. We already are seeing substantial improvements. He made collaboration among the 14 UT institutions one of the hallmarks of his tenure, and the effects are evident all over Texas. UT’s health institutions are working together like never before, fighting cancer, heart disease, diabetes, Alzheimer’s, opioid addiction — all the afflictions shortening and worsening the lives of Texans. They are also banding together to extend their reach beyond the big cities of Texas, to the smaller towns and rural areas that have long suffered from a lack of quality health care. The fruits of UT collaborations under McRaven extend beyond state borders. The UT Network for National Security, created two years ago, has brought together the expertise and resources of UT institutions and other prominent schools to address the most vexing problems threatening the security of the United States. McRaven believes, as I do, that higher education, and UT in particular, can and should play a big role in keeping America safe. The University of Texas System is a big, complex, sprawling institution. Bill McRaven has made it a stronger and better organization. He has shown us what servant leadership is all about. For that, for so much more, we owe him a debt of gratitude. Fair winds and following seas, Chancellor McRaven. Admiral and Mrs. Bobby R. Inman and The University of Texas have been financial supporters of The Texas Tribune, a nonprofit, nonpartisan news organization that is funded in part by donations from members, foundations and corporate sponsors. Financial supporters play no role in the Tribune's journalism. Find a complete list of them here.